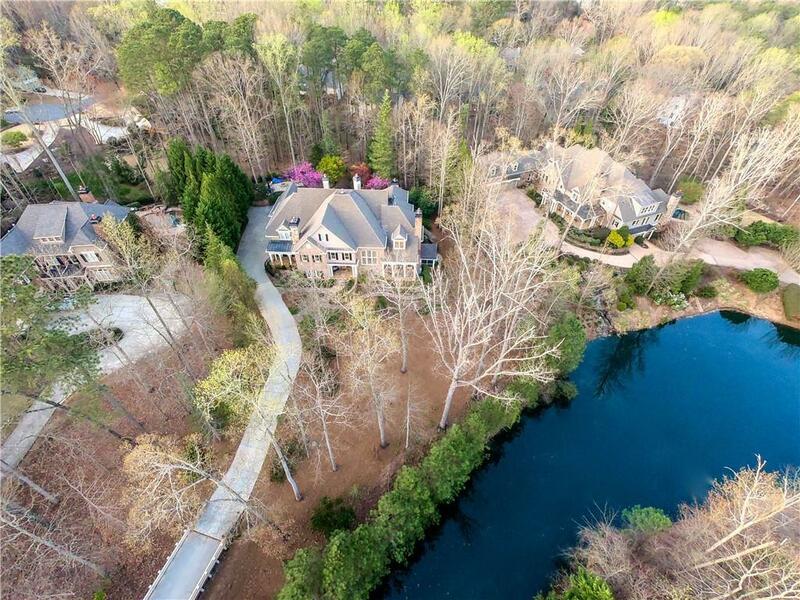 This gorgeous private estate is located in a small enclave of lake front homes. Master on Main with Elevator! The property features four sides brick, stone, and flagstone, and is nestled on a quiet tree lined street a short 25 minutes from downtown Atlanta in Roswell, Georgia. 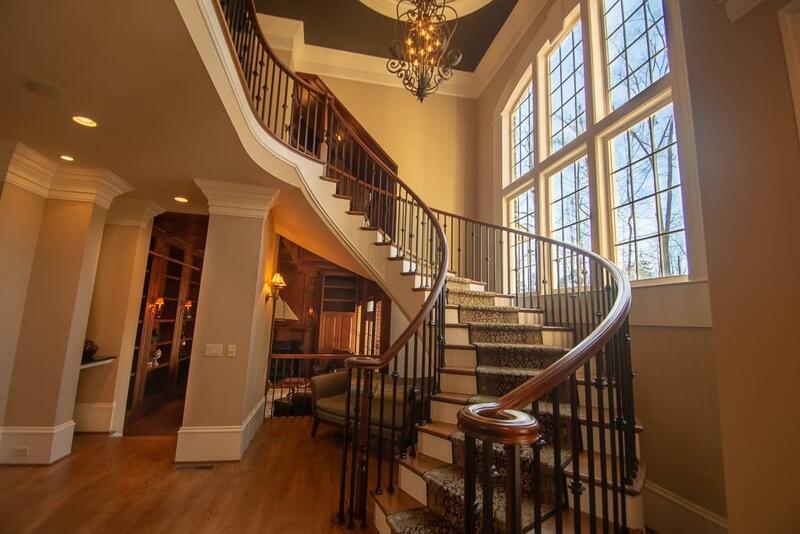 Gourmet Kit, Library w/heavy wainscoting, spiral staircase. Dining Rm & Side Courtyard. 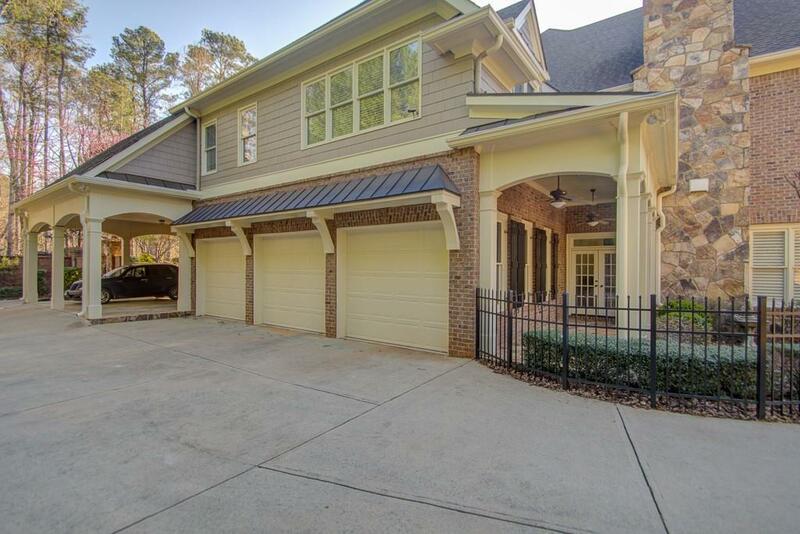 Master w sitting room w FP, dressing w/built-ins, spa bath, Sunroom w/view Pool-gardens. Upper flr Lodge Rm, billiards & bar! Craft Rm. Terrace king Bd rm, Bath, Fitness, Sauna, Screen Porch. VIEW ALL PICS!